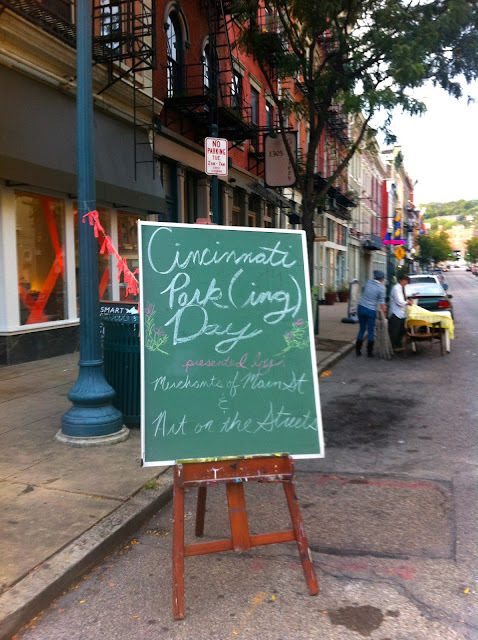 The third Friday in September is international Park[ing] Day. From Austin, Texas to Paris, France and in between, people take over parking spaces to celebrate the value of public space in cities. In 2012, Cincinnati artists and advocates for parks and public space went a step further, celebrating the way art in public places animate streets and parks, bringing people together in new ways. 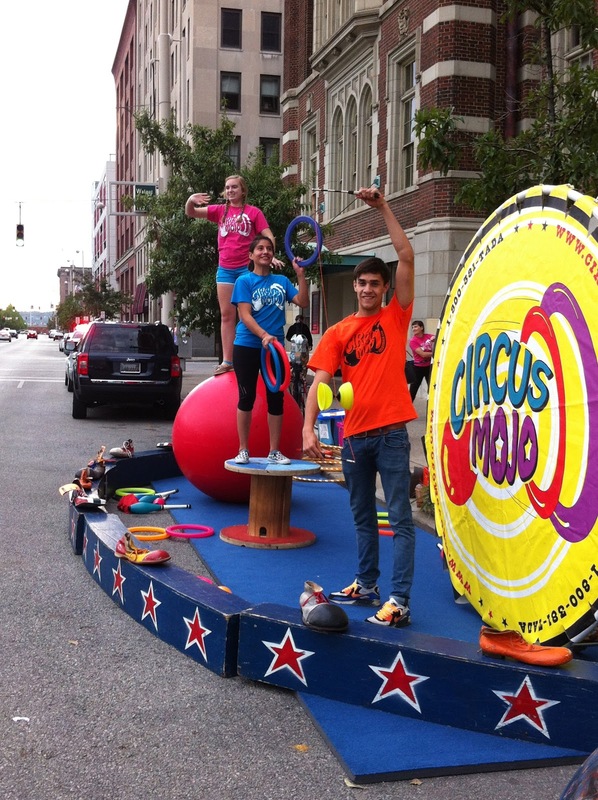 Cincinnati has participated for the past five years with community members setting up in the central business district, Over-the-Rhine, and Uptown neighborhoods. This year, Merchants of Main Street partnered with Art on the Streets to create temporary art in parking spots – replacing cars with stages and galleries. Artists created a fun and provocative series of shows illustrating the benefits of serendipitous art in public places. As people walked home from work, out to events, down to the Reds game -- we saw smiles, dancing, bubble-blowing, lemonade-stand-gabbing, hula-hooping and much more. Artists and artistic organizations of all kinds participated with dance, visual installations, participatory drawing, music, painting, face-painting, and more! The Cincinnati Ballet dancers practiced at the barre ~~ replacing a car. 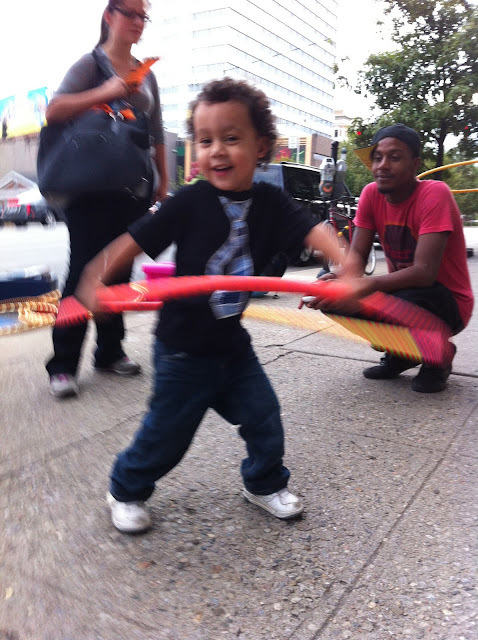 Pones, Inc – the innovative artists collaborative -- created a beach dance party complete with sand, sunscreen and tunes. Landscape architecture and urban design firm, PLACE Workshop created a mini-ball park with popcorn and fans as a tribute to “this years World Series Champions, the Cincinnati Reds!”. Molly Wellman set up a lemonade stand in the parking spot in front of Japp's. 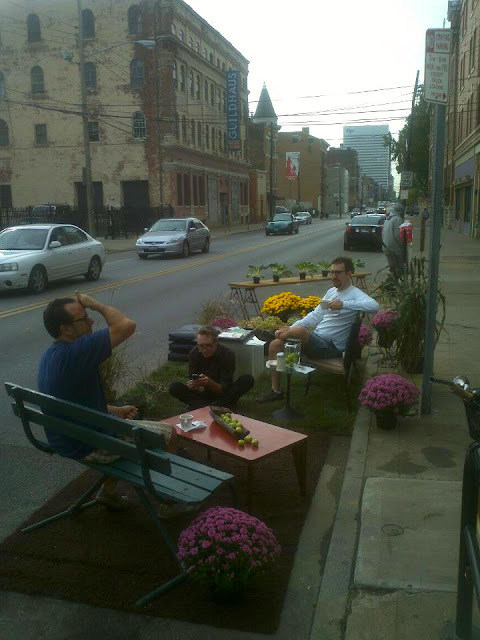 Queen City Bike created a mini-parklet compete with bikes and flower-filled baskets. 1305 Gallery set up a dinner party tableau. Circus Mojo turned two parking spots into the center ring in front of Coffee Emporium ~~ traffic slowed and people honked as they passed by. 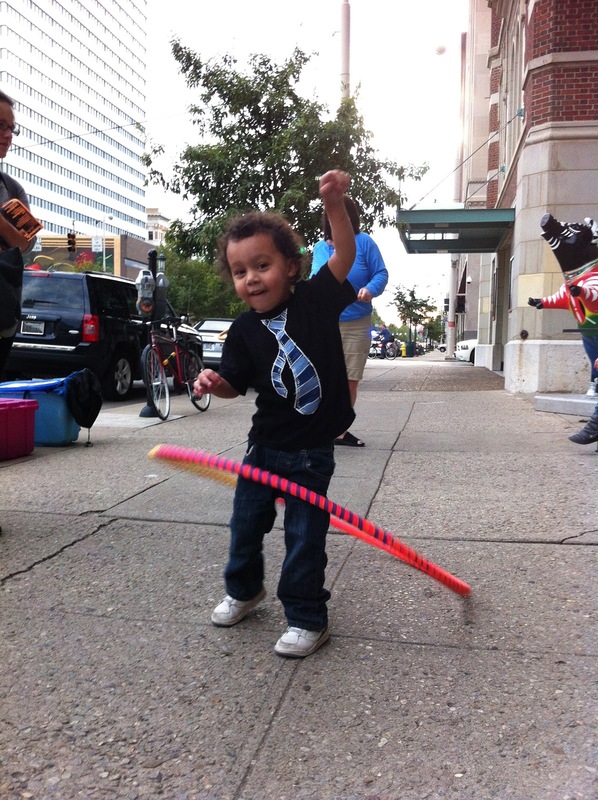 Walkers stopped to try out a hula hoop or ring toss. And there were musicians and visual artists creating on the spot. Robin Alicia-Clare Hoskins installed a collaborative art project. Tenley Rissover on the Park[ing] stage she created in front of Iris. Josh Kruer painting in the street. 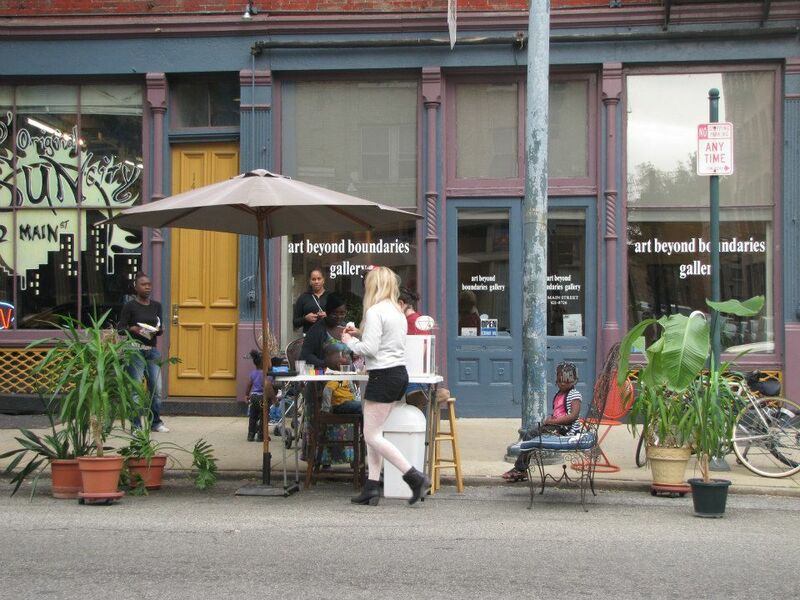 Over the Rhine Community Housing installed a mini studio for all. Over on Vine Street, we had a chance to preview the future Tucker's Parklet – a permanent mini-park planned for a parking spot during in front of the restaurant. Thank you for helping organize this and for the photo review! !